OVERVIEW: Current research sponsored by the SPTC utilizes data collected from an instrumented Integral Abutment Bridge (IAB) and computer models to develop readily implementable design and construction guidelines for IABs subjected to extreme variations in temperature and soil moisture conditions. The work builds on several years of collaboration between researchers at the University of Oklahoma and the Oklahoma Department of Transportation to improve analysis and design of IABs to enhance bridge performance and safety while reducing maintenance costs. Integral Abutment Bridges (IABs) are jointless bridges without any expansion joints within the bridge deck or between the superstructure (deck and girders) and the abutments. A schematic drawing of an IAB is shown in Figure 1. Unlike conventional abutment bridges where joints allow the bridge to expand and contract without restraint, integral abutment bridge thermal expansion and contraction must be accommodated by the movement of the abutments. Thus, significant forces can develop in the bridge structure, abutment, piles and soil surrounding the bridge substructure as shown in Figure 1. The magnitude of these forces and response of the structure is strongly dependent on the stiffness of the bridge structure, pile foundations and soil. If the piles and soil are too stiff, large unwanted forces may develop in the bridge. On the other hand, if the backfill is relatively flexible and the embankment and foundation soil is stiff, unwanted yielding of the piles may occur at the bottom of the abutment. Complicating matters is the fact that the soil response is strongly dependent on the moisture content which can vary significantly both seasonally and over the life of a structure. The integral abutment is a complex soil-structure interaction problem that must be carefully analyzed and designed for optimal performance. Not adequately considering the soil-structure interaction at the abutments can reduce bridge service life and result in pile failure. An IAB provides many advantages during construction and maintenance of a bridge. Expansion joints and bearings in a conventional bridge are expensive and costly to install. Leaking joints in a conventional bridge lead to deterioration of girders and bearings and therefore potentially unsafe conditions and higher maintenance costs. IABs also provide superior performance during extreme loading events such as earthquakes and blast loading. Due to these reasons, IABs are being built by agencies at an increasing rate in U.S. The complex interactions occurring in an IAB between the superstructure, abutments, foundations, and soils, however, are still poorly understood. Furthermore, there are no national design standards for IABs and each state has adapted its own design and construction practice. This has led to a contradictory and confusing array of design and construction practices. IAB designers in U.S. Department of Transportation's (U.S. DOT's) Region 6 states (Oklahoma, Texas, New Mexico. Arkansas and Louisiana) face an additional challenge due to extreme variations in temperature and moisture in these states. Research sponsored by the SPTC is utilizing data collected from an instrumented Oklahoma IAB and computer simulations, with input from bridge engineers in Region 6, to develop readily implementable design and construction guidelines for IABs in Region 6 and other areas with extreme variations in temperature and moisture. FOUNDATIONAL RESEARCH: Data collected over 40 months of monitoring instrumentation installed on an IAB in Oklahoma have provided important insights into soil-structure interaction resulting from thermal loading. Located on I-44 near Lawton, OK, the bridge is 210 feet long with three spans and built on a 10 degree skew angle. The bridge was instrumented with 46 separate instruments to capture the behavior during thermal loading. Five different types of instruments (pile strain gages, earth pressure cells, crack meters, tilt meters, and thermistors) were employed to study the thermal behavior of this bridge. All the instruments contained vibrating wire type sensors. Two piles on the south abutment and one pile on the north abutment were instrumented with strain gages. The temperature readings at six different thermistor locations were averaged to calculate a representative bridge temperature and the variation of this temperature during the measurement period is shown in Figure 2. The average temperature change that the bridge superstructure experienced over a six month period of time was 950F. While the data shown in Figure 2 represents average temperature variations for the bridge, it should be noted that temperature gradients exist across the depth and the width of the bridge. 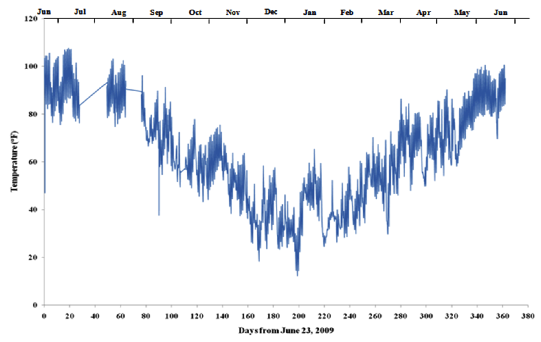 A temperature variation as much as 200F was observed during sunny summer days. The measurements revealed that, due to the movement of the sun, there is also a temperature gradient from east to west. CURRENT RESEARCH: While many important lessons were learned from previous extensive field research and modeling, it is necessary to extend the results of the instrumentation study to encompass a variety of bridge, subsurface, and climatic conditions. Since instrumenting a large number of different bridges and collecting the necessary data over large time frames is impractical, researchers with support of the SPTC are conducting extensive parametric analyses to investigate important soil-structure interaction variables. A crucial outcome of the previous work was the calibration and validation of computer models to successfully mimic the observed behavior. Building on this success, researchers are investigating the effects of bridge configuration (abutment geometry, length, skew angle, etc. ), foundation type and installation (pile bending stiffness, pre-boring), backfill type (granular, controlled low strength material, etc. ), embankment and foundation materials (type, stiffness), as well as impacts of seasonal temperature variations and moisture changes in the soil. The results of this extensive parametric analysis will provide tremendously valuable insight into analysis and design of integral abutment bridges. Results will be summarized in readily implemental design and construction guidelines for bridge engineers. In addition numerical modeling tools will be refined for use on challenging projects. This will remove much of the guesswork involved in current design approaches for IABs and allow engineers to explore bridge configurations not currently in use, such as longer bridges and greater skew angles. Ultimately, better performing and longer lasting IABs will be the result of this work. Dr. Kanthasamy Muraleetharan is the Principal Investigator and Gerald Miller is Co-Principal Investigator on the project. They are both professors in the School of Civil Engineering and Environmental Science at the University of Oklahoma. Please send inquiries to muralee@ou.edu or gamiller@ou.edu. The Southern Plains Transportation Center is a consortium of eight universities in U.S. Department of Transportation Region VI: the University of Oklahoma, Oklahoma State University, Langston University, University of Arkansas, University of New Mexico, Louisiana Tech University, University of Texas at El Paso and Texas Tech University. The SPTC provides a unique opportunity through multi-institutional initiatives to develop comprehensive, cost-effective, and implementable solutions to critical infrastructure issues facing the transportation systems of the region and the nation, and to prepare transportation professionals for leadership roles through Research, Leadership, Collaboration, Education, Outreach, Tech Transfer and Workforce Development activities. 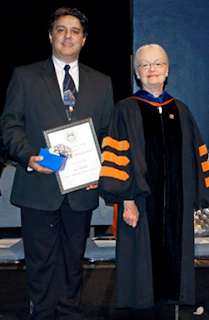 Congratulations to the Center for Transportation Infrastructure Systems University of Texas at El Paso Associate Director Dr. Imad Abdallah, who was recently honored by President Natalicio as the 2015 recipient of UTEP’s Distinguished Achievement Award for service to the University by a member of the professional staff. The Distinguished Achievement Award is the highest honor bestowed upon UTEP faculty and staff members. The SPTC congratulates Dr. Abdallah and his tireless dedication to CTIS students, staff and faculty. Smart transportation and development are essential components of competitiveness and prosperity. Projects and practices that truly contribute to smart transportation and development form the theme of this international event. The ASCE International Conference on Transportation & Development (ICTD 2016) will focus on projects and best practices in infrastructure planning and development. It will provide a forum for relevant engineering research, applications, and innovations that contribute to competitiveness, efficiency, convenience, safety, and well-being. Presentations and panel discussions will cover transportation and development planning, financing, functional design, construction, operation, and management: how practitioners are improving performance to meet the critical mobility and development challenges of a changing operational and competitive environment. Presentations and papers are sought to address transportation applications, innovations, and critical needs. ASCE International Conference on Transportation & Development (ICTD 2016) is organized to facilitate exchange of information, knowledge, and best practices among transportation and development practitioners and researchers, public infrastructure owners, policy makers, government engineers and planners, operations managers, and leading academics from around the world. The conference is planned for June 26–29, 2016. The technical program will include plenary session with keynote speakers, and multiple technical sessions with panels, presentations, and contributed papers under 5 parallel tracks dealing with roadways, rail and transit, aviation, development, and cross-cutting themes. A poster session with displays of high profile projects and best practices will be held throughout the course of the event. Workshops on specialized topics will be organized as part of the event. The social program will consist of a welcome reception, technical tours, and multiple networking opportunities with speakers and presenters, sponsors and exhibitors, and transportation and development professionals from around the world. 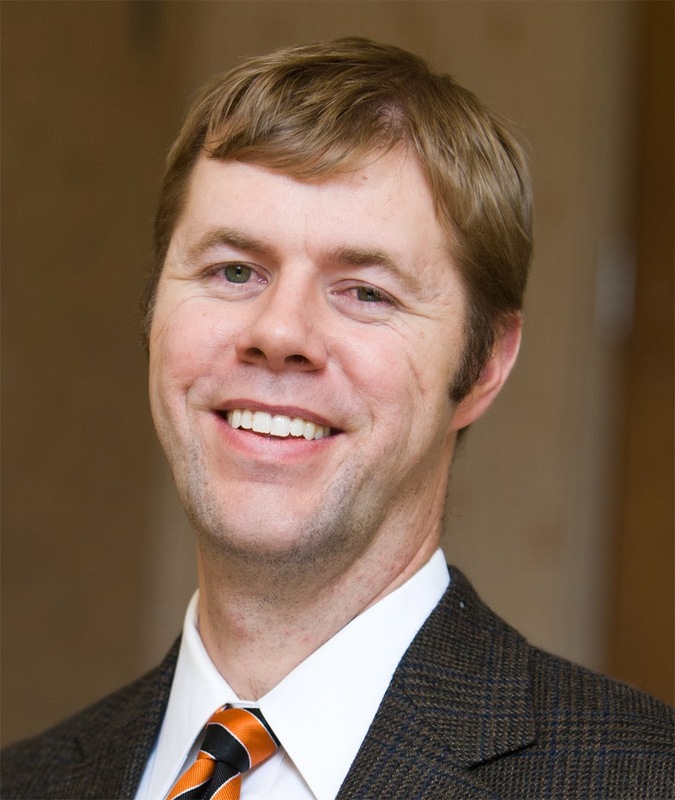 Tyler Ley, associate professor and Williams Foundation professor, School of Civil and Environmental Engineering, College of Engineering, Architecture and Technology, was named Oklahoma State University Regents Distinguished Research Award Winner. Dr. Ley investigates using material science to improve constructions materials, the development of sensors to monitor roads and bridges, and the imaging of the structure and chemistry of materials at the micron and nano scale. In his six years at OSU, his research has been awarded more than $8.8 million in grants, including the funding of 32 projects in which he was the principal investigator. Dr. Ley’s work has led to five patent applications. His research has been published in 45 peer-reviewed publications and he has co-authored 25 industry reports with his students. He is actively collaborating on research projects with a variety of OSU departments outside of engineering. One project with the College of Education involves developing an engineering-based curriculum for 5th grade students. He is also collaborating on projects involving nine other universities. In 2014, Dr. Ley was recognized with the American Concrete Institute Walter P. Moore Award, the organization’s highest honor for a faculty member. A passionate teacher, Dr. Ley received the 2011 Halliburton teaching award and the Chi Epsilon Honor Society Teacher of the Year award in 2009. 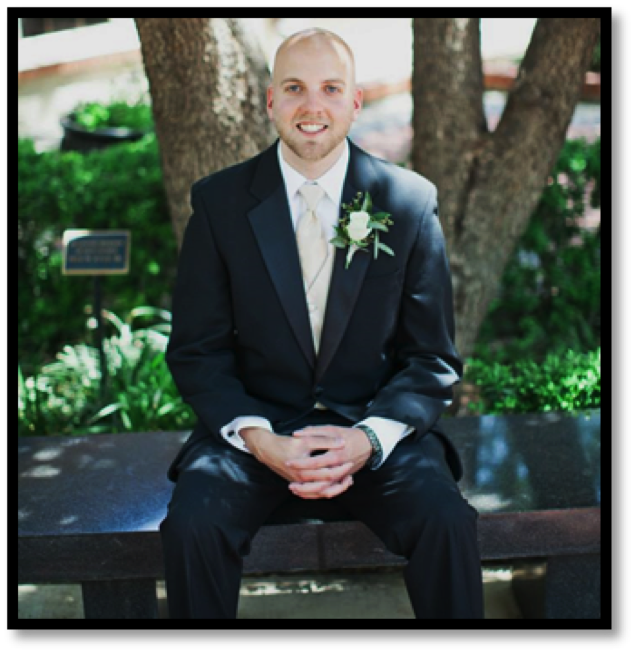 Wesley Kumfer, doctoral candidate in transportation engineering at Texas Tech University, has been selected as the Student of the Year award nominee to represent the Southern Plains Transportation Center. He will be recognized at the Council of University Transportation Center's awards banquet on Jan. 10, 2015 in Washington, D.C. in conjunction with the annual meeting of the Transportation Research Board. For the past 23 years, the U.S. Department of Transportation has honored an outstanding student from each University Transportation Center at a special ceremony held during the Transportation Research Board's annual meeting. Each student is recognized during the ceremony by a departmental official; the administrator of the Research and Innovative Technology Administration. The University of Oklahoma's School of Civil Engineering and Environmental Science produced a summer newsletter, Communique, for alumni and friends of CEES. Included in the publication, pages 14-17 is a story on the SPTC. To view the PDF of the publication, click here. 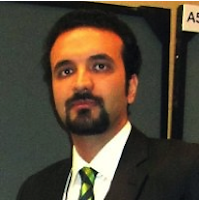 Mehran Mazari, postdoctoral research and teaching associate at the University of Texas at El Paso, has been awarded second place in the graduate category by the Transportation & Development Institute of the American Society of Civil Engineers and the Federal Highway Administration (FHWA). The paper, entitled “Novel Approaches in Visualization of Long-Term Pavement Performance (LTPP) Data. The award presentation will take place on the morning of Sunday, January 11, 2015, at the LTPP State Coordinators’ Meeting. Mehran earned his Bachelor’s and Master of Science degrees in Civil Engineering from Ferdowsi University of Mashhad. In January 2011, he joined the Civil Engineering doctoral program at The University of Texas at El Paso (UTEP). Since then, he has been working as a graduate research assistant, under the direction of Prof. Soheil Nazarian, at the Center for Transportation Infrastructure Systems (CTIS), a member of a national and a regional University Transportation Research Center (UTRC) consortium by the US Department of Transportation, working on several federal and state funded research projects. His work has so far been published in several high quality journals and peer-reviewed international conferences. Throughout his academic career, Mehran has been honored with several fellowships and awards including the International Road Federation (IRF) Fellowship in 2014 and Dwight David Eisenhower Fellowship from the Federal Highway Administration of United States Department of Transportation in two consecutive years (2012 and 2013). He has received the Cotton Memorial Graduate Scholarship from The University of Texas at El Paso in 2012. Maintaining a GPA of 4.00, he has been privileged to become a member of Golden Key International Honor Society, Tau Beta Pi Engineering Honor Society and Chi Epsilon Civil Engineering Honor Society. Mehran is currently a postdoctoral research and teaching associate at The University of Texas at El Paso. He is keenly interested to continue his academic career as an assistant professor of Civil Engineering focusing on both teaching and research activities.